Grand Union Narrowboats is based on the Grand Union Canal at Weedon in heart of the beautiful county of Northamptonshire. The Furniss family who operate Grand Union Narrowboats have been part of the inland waterways industry for over 25 years so you are in very capable hands. 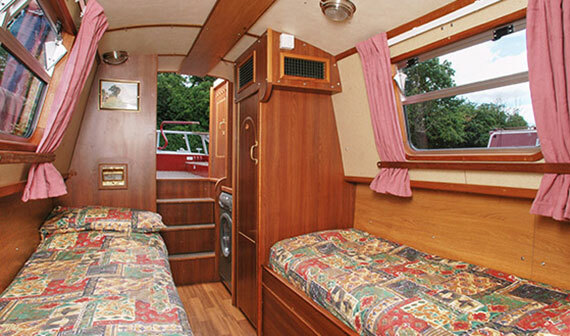 Our 2, 4 and 6-berth purpose-built, 4 star narrowboats, are available for hire from our easily accessed base at Weedon. You can be confident of having a canal boat holiday to remember, taking in the delights of the canals of Great Britain. From Weedon ...More >there is an amazing choice of routes for your narrowboat hire including gems such as the Oxford Canal, the Ashby Canal, the River Thames and, of course, our personal favourite – the Grand Union Canal, cruising either north along the stunningly beautiful Leicester line of the Grand Union Canal through Watford Locks, Market Harborough and Foxton locks or perhaps south through the amazing Blisworth Tunnel and the quintessentially English canal side village of Stoke Bruerne and on southwards towards the Chilterns. We understand that for some the prospect of taking to the helm of your narrowboat hire together with the operation of the canal locks can seem a little daunting! DON’T PANIC. We are very thorough on our handovers, as well as showing how all the controls on the boat work to ensure ALL our novice customers get practical steering tuition along with instruction and help with your first locks. 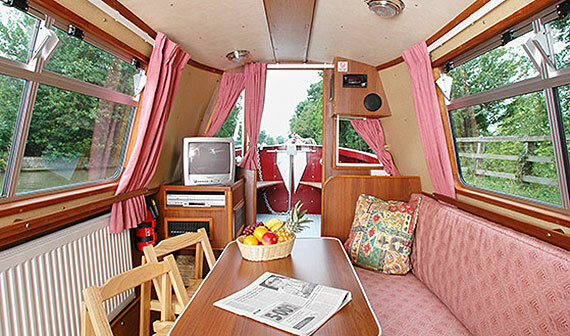 We feel this is very important as the sooner you feel at ease with the practicalities of a canal boat holiday the sooner to can start to enjoy the delights of England’s waterways. Pete L (2018) - ".... We just had the best week on Hawkweed...The simple best recommendation I can give Grand Union is that we are about to book again for next year! We would definitely recommend!..." Barry (2018) - "There were 4 of us and the boat was fantastic. Everything you’d need and more - even a washing machine!! 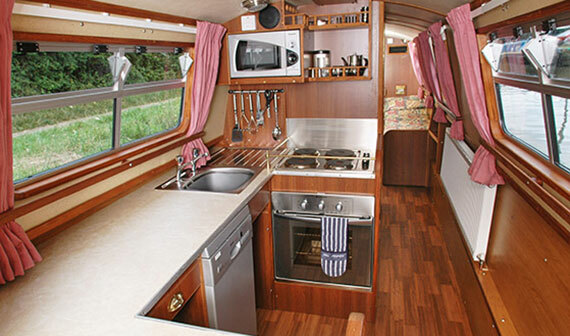 ... We cannot recommend Grand Union Narrowboats highly enough...."
Annod (2018) - "We had brilliant tuition from Steve at the start which meant that we could enjoy ourselves & have a stress free holiday right from the word go..."